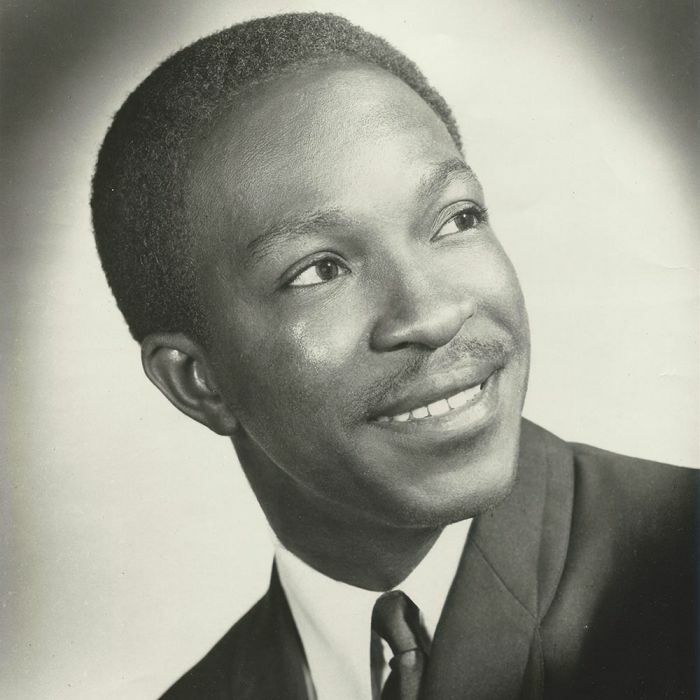 Over the last four years, Kent Soul, an imprint of Ace Records has been documenting the history of Sheldon “Shelley” Haines’ Pied Piper Pied Piper Productions. Sadly, the journey is now at end with the recent release of Pied Piper: Finale. It’s the final compilation Kent Soul intend to release. However, they’ve kept some of their most exciting finds until last. Nine of these finds have been languishing unreleased in the Pied Piper vaults for over fifty years. Not any more though, as they make their debut on Pied Piper: Finale. This includes the little-known King Louie’s Court; Jack Ashford’s first productions away from Detroit and Joseph Douglas and Yvonne Baker’s Philly releases from 1965. There’s also a previously unreleased alternate version of Joseph Douglas’ Crazy Things. However, one of the most exciting finds is Lorraine Chandler’s Ease My Mind, which until relatively recently nobody was aware of. That is not all that’s on Pied Piper: Finale. There’s also contributions from familiar faces, new names and old friends. This includes The Pied Piper Players, The Hesitations, The Metros, Freddy Butler, Nancy Wilcox, Reggie Alexander, Four Sonics and The Persians. Then there’s alternate takes of Lorraine Chandler’s She Don’t Want You and Willie Kendrick’s American Dollar and Watch Yourself (She’s Fooling You). Compiler Ady Croasdell has certainly dug deep into the Pied Piper vaults for the twenty-four tracks that feature on Pied Piper: Finale. However, the Pied Piper story began back in 1965. Pied Piper was founded in 1965 by Sheldon “Shelley” Haines, a music industry veteran. His first job in the music industry, was as a distributor for King Records. This was the late-forties. By, 1952, Sheldon and Jack Gale, a local DJ, formed the short-lived Triple A record label. It lasted a mere five released. After that, Sheldon became interested in Detroit’s emerging R&B scene. Soon Sheldon was a familiar face on the Detroit R&B scene. By 1954, Sheldon and songwriter Perry Stevens found themselves working with doo wop group The Spartans, for the Capri label. A year later, Sheldon and Irving Lief formed a production partnership and several record labels. This included labels like Pix, Plaid, Sterling and Studio. Groups and artists like The Coronets, Cool Papa Jarvis and The Jet Tones. The pair also recorded The Womack Brothers, who later, became The Valentinos. Sheldon and Irving’s partnership lasted until 1960, where they recorded artists at their own studio. It wasn’t just artists signed to their own labels, but artists signed to RCA’s Groove imprint. This was a sign of how well thought of the production partnership were. Despite this, Sheldon returned to becoming a distributor in 1961. For the next four years Sheldon was happy worked as a distributor. Occasionally, he produced artists, and in 1965, made his comeback. Ed Wingate hired Sheldon as Vice President and General Manager of Ric-Tic, Golden World and Wingate record labels. His remit was overseeing marketing, promotion and product control. For his new business venture, Sheldon called the company Pied Piper Productions. The first two single produced by Pied Piper Productions were releases by Bob Santa Marie and Frank Meadow and The Meadowlarks. While they were neither successful nor groundbreaking releases, once Sheldon put together his production team, success wouldn’t be far away. The two men who masterminded Pied Piper Productions were Jack Ashford and Mike Terry. Jack Ashford had studied music at college. He was a vibes player and a familiar face in Philly’s jazz scene. When he was asked to become a member of Marvin Gaye’s touring band, Jack went from jazz musician to Funk Brother. Through meeting the Motown musicians, Jack decided to base himself in Detroit. Soon, he became part of Motown’s legendary studio band, The Funk Brothers. Jack’s trademark tambourine sound became a staple of Motown recordings. However, Jack was more than a tambourine player. He studied arrangers, engineers and producer and soon, was able to learn from them. Jack was also a talented songwriter. Essentially, Jack Ashford was a musical all-rounder, which made him perfect for Pied Piper Productions. His partner would be Mike Terry. Mike Terry played baritone saxophone first in Popcorn Wylie’s Mohawks, then with Joe Hunter’s band. Like many musicians, he gravitated to Motown, which is the sixties, was one of the most successful labels. 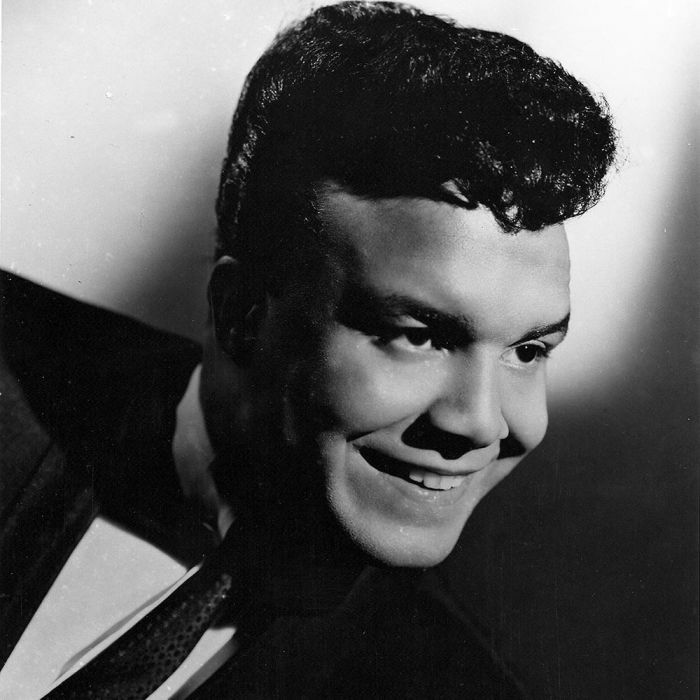 He was part of the touring and studio bands, and his trademark sound features on numerous Motown recordings. Despite being on Motown’s payroll, Mike, like other musicians, including Jack Ashford, felt the fees they were paid weren’t enough. So the pair left Motown. Having left Motown, Jack and Mike briefly worked for Ed Wingate’s Golden World label. Mike with George Clinton and Sidney Barnes, formed the Geo-Si-Mik songwriting and production partnership. At the same time, Jack and Mike formed a songwriting and production partnership. One of their songs, Lonely One, for The San Reno Strings album on Ric-Tic came to the attention of Sheldon “Shelley” Haines. He realised this was a partnership to watch. Sheldon “Shelley” Haines was right. Jack and Mike head to Jack’s hometown Philly, to produce I Can’t Change for The Sensations with Yvonne Baker. This was their first production, which was released on the Junior label. Later in 1965, the pair produced Joe Douglas for the Playhouse label. With Bobby Martin penning the B-Side, this was a single that was made has Philly. Ironically, it wasn’t in Philly, Jack made his name as a producer. No. It was in Detroit, where Jack Ashford and Mike Terry masterminded Pied Piper Productions, including the music on Pied Piper:Finale. Opening Pied Piper: Finale is The Bari Sax (aka This Heart Is Lonely), which is the first of four unreleased tracks from The Pied Piper Players. The Bari Sax (aka This Heart Is Lonely) was recorded on 30th August 1966, and is a dance-floor friendly hidden gem that would’ve gone down well on the Northern Soul scene. So would I’d Like To Know, an instrumental written by Joe Hunter. What Can I Do which features Mike Terry’s rasping saxophone features and features the soulful side of The Pied Piper Players. One of the recent finds in the Pied Piper vaults was Lorraine Chandler’s Ease My Mind. Lorraine penned the song with Jack Ashford and Andrew Terry. Since it was recorded, it languished in the Pied Piper vaults. It was discovered on a tape that features the original version of the Jack Ashford and Andrew Terry composition She Don’t Want You. Neither track have been released, and are a reminder of the First Lady of Pied Piper Productions in full flight and at her most soulful. In August 1967, The Hesitations released the Joe Hunter and Willie Kendrick penned You Can’t Bypass Love as a single. It was a dance-floor friendly single with Detroit drums. Tucked away on the B-Side was You’ll Never Know, which Jack Ashford and Lorraine Chandler penned. 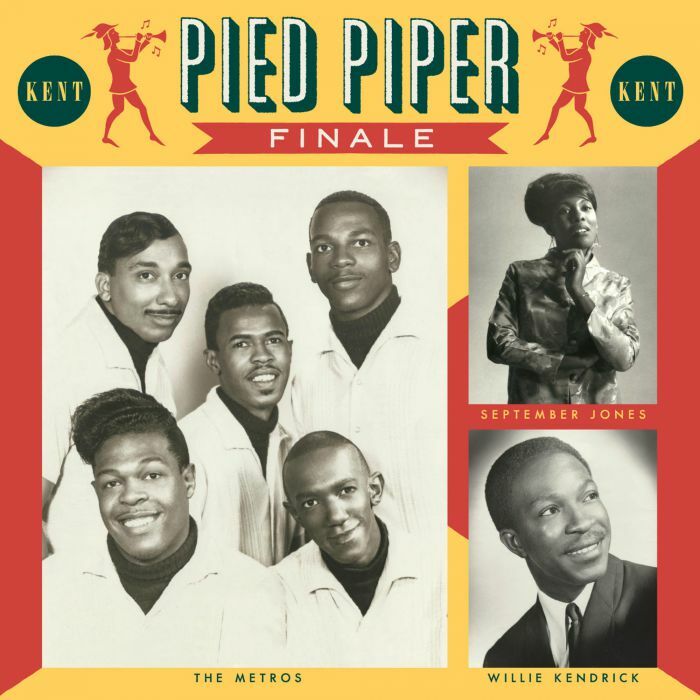 It features a soul-baring vocal and is another of the hidden gems on Pied Piper: Finale. Another of the unreleased tracks is Crazy Things which was recorded by Joseph Douglas. He’s something a mystery man, and nobody at Pied Piper Productions can even remember the recording. It may even be that Joseph Douglas is an alias. Whoever Joe Douglas was, he breathes life, meaning and emotion into the lyrics to a song penned by the Jack Ashford and Andrew Terry partnership. 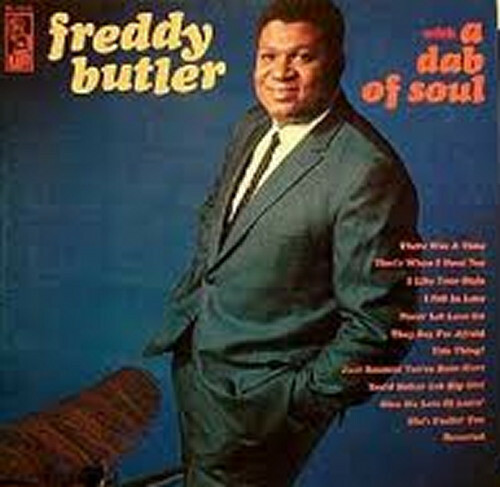 Back in 1967, Detroit born soul man Freddy Butler went into the studio to record his debut album With A Dab Of Soul. One of the songs he covered was the Phil Coulter and Bill Martin’s heart-wrenching ballad I Like Your Style. Later in 1967, With A Dab Of Soul was released on the Kapp label. Another song Freddy Butler recorded was Deserted a John V. Allen composition. It features a needy, heartfelt vocal from the Freddy Butler. They’re two of the highlights of With A Dab Of Soul. 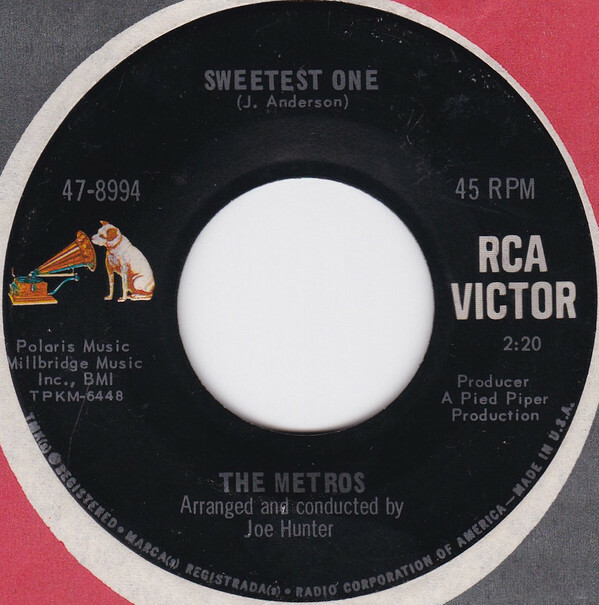 Two years after The Metros were formed in Wayne County, Michigan, they signed to RCA Victor and in October 1966 released the James Anderson penned Sweetest One as their debut single. It reached forty-four on the US R&B charts. Five months later, in March 1967, The Metros released No Baby in March 1967. This Joe Hunter and Jack Ashford composition was another sweet slice of soul that brought out the best in The Metros. 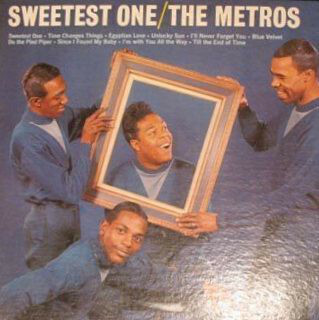 However, when The Metros released their debut album Sweetest One in April 1967, No Baby wasn’t included. Fifty years later, No Baby makes a welcome appearance on Pied Piper: Finale. Reggie Alexander will be a new name to many people. He reorder four songs for Pied Piper Productions. In 1967, he recorded Joe Hunter and Herbert Williams’ It’s Better. It was released on the Detroit based Boss label in in 1967. It’s Better features a rueful, hurt-filled and wistful vocal from Reggie Alexander. He sounds as if he’s lived and survived the lyrics. As 1967 dawned, Pied Piper Productions were needing a hit badly. 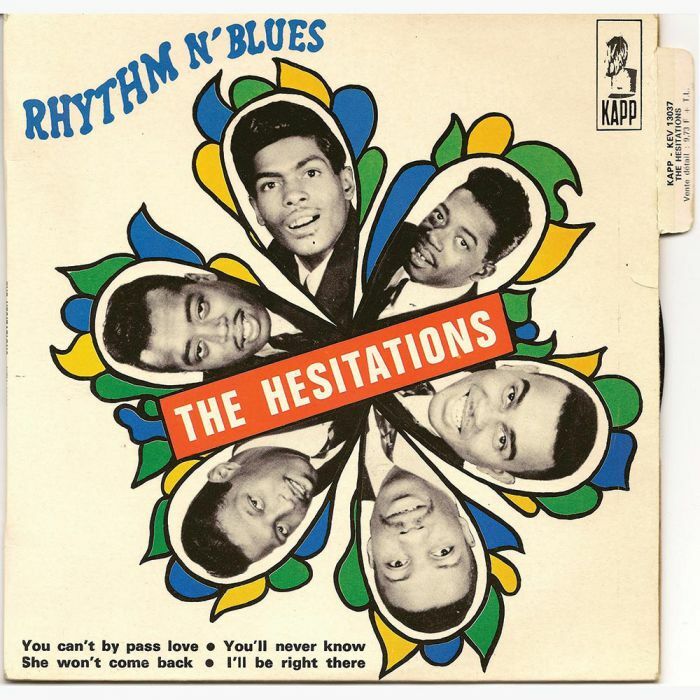 The single that came up trumps was The Hesitations’ Soul Superman. It had been released in November 1966 on the Kapp label and reached number forty-two in the US R&B charts. No wonder, as Soul Superman features The Hesitations at their most soulful. In 1967, the Four Sonics went into the studio with producer Shelley Haims to record their debut single. The song they had chosen to cover You Don’t Have To Say You Love Me. For the B-side, the Four Sonics covered It Takes Two. It was penned by Shelley Haims using her Randy Scott alias, with N. Johnson which was thought to be an alias of Jay Johnson. Later he claimed to have written the song with a local singer Anita Johnson. Regardless of who wrote the soulful, catchy and memorable It Takes Two, it deserved to fare better than being relegated to a B-Side. It’s fitting that The Pied Piper Players close Pied Piper: Finale. They do so, with a cover of Tony Hester’s Love Will Find A Way. The Pied Piper Players played a huge part in the Pied Piper Productions’ story. Members of The Pied Piper Player also wrote, arranged and produced the music that Pied Piper Productions recorded. This includes Love Will Find A Way, where a small band are augmented by occasional backing vocals on what’s quite beautiful, thoughtful and soulful song. It’s a fitting finale to the Pied Piper: Finale compilation. Pied Piper: Finale is a welcome addition to the series of Kent Soul’s compilation series that has been documenting the history of Sheldon “Shelley” Haines’ Pied Piper Productions. Sadly, the journey is now at end with the recent release of Pied Piper: Finale. It’s the final compilation of music from Pied Piper Productions thatKent Soul, an imprint of Ace Records intend to release. Fortunately, they’ve kept some of their most exciting finds until last. This includes the nine unreleased tracks. They’re best described as hidden gems. Compiler Ady Croasdell dug deep into the Pied Piper vaults, and was rewarded by finding musical gold. The rest of Pied Piper: Finale features familiar faces, new names and what seem like old friends. They’ve featured on each instalment in this occasional compilation series, where Kent Soul turn their attention to soulful delights within the Pied Piper Productions. Sadly, the series is now at end. However, for anyone whose yet to discover the delights of the music recorded by Pied Piper Productions, then Pied Piper: Finale is the perfect starting place. After that they can enjoy the other instalments in the series. The series began in January 2013 with the release of Pied Piper Presents A New Concept In Detroit Soul. Just over two years later, and Pied Piper-Follow Your Soul followed in May 2015. Then in September 2016, Pied Piper: The Pinnacle Of Detroit Northern Soul was released on vinyl, and featured tracks from the first two CDs in the series. Recently, Pied Piper: Finale was released and brings to an this lovingly curated compilation series which focuses on the soulful delights of Sheldon “Shelley” Haines’ Pied Piper Pied Piper Productions.